Not too long ago I had written about HoverCam Pilot 3. HoverCam keeps innovating non-stop in teched space. 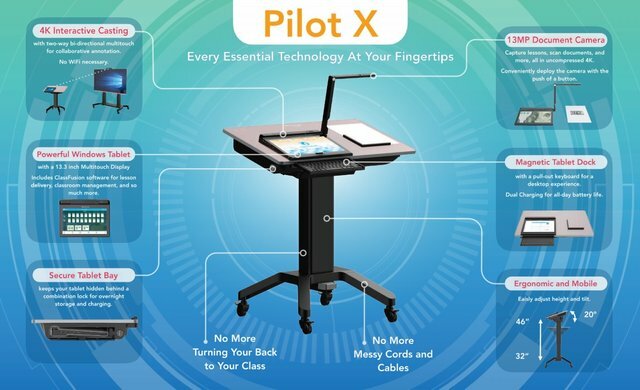 They have recently added a new digital podium, Pilot X. It is not just a podium. They call it a digital teaching station. Instead of having a built-in computer on the surface of the previous version of the podium, they have made a powerful Windows tablet, designed for educational and presentation purposes. The station has 30″ tempered glass Surface with a magnetic anti-slip bumper. When the tablet is placed on the podium user can slide out an attached keyboard and use it for convenience. 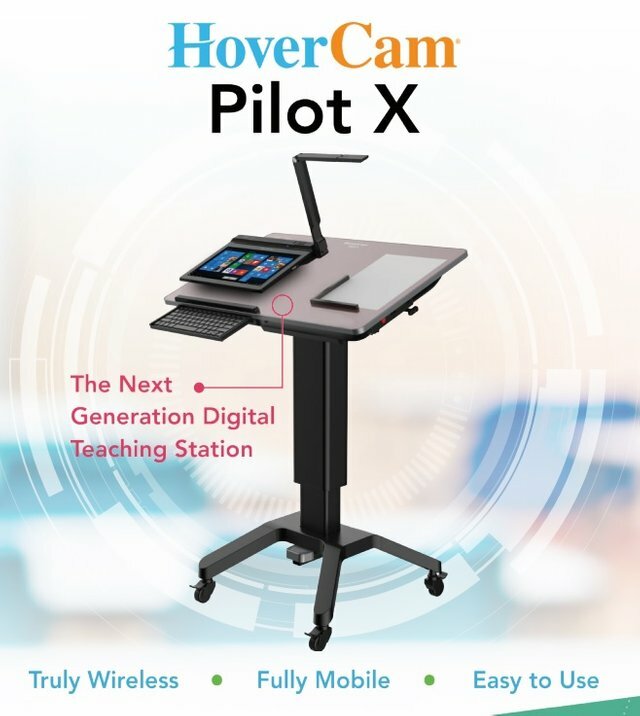 Tablet is equipped with a 13MP document camera, so the educators and presenters easily can use their documents to present or teach the subject. Content from tablet and document camera can easily be cast on tv or interactive monitor. Podium itself is easily movable, adjustable, and ergonomically designed. It is a high tech and innovative product. This digital teaching station will be a great help to students and the teachers. Great hunt. This high tech podium looks like the next step in the amphitheaters and surely the students will be amazed by it. Upping this to hi tech for sure will motivate the students to give more and show them the world that surrounds them in a futuristic way. It's like a "car" for the teacher to drive through his lessons. Thanks dear friend @geekgirl! Please do you know who is with our Steem Torch? I guess it’s still with @ezzy, but I’m not 100% sure! It moved from Ezzy to Rea. From Rea to Oflyhigh. Then to Deanliu. Wow! I’ve missed a lot, it’s like they don’t make posts anymore on the transfers as it’s with the rules or maybe I just missed those posts!